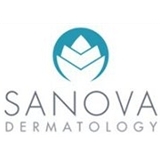 Sanova Dermatology (Austin) - Book Appointment Online! Always such a pleasure to go to the doctor at Sanova Dermatology. The staff there is always friendly and happy. It feels more like a relaxing spa then a doctor's office. The entire staff was incredibly friendly and professional. They made the entire experience feel personal, while maintaining short wait times in the lobby and exam room. Three other doctors missed the diagnosis, But with Dr. Lain, I'm confident that correct results will happen soon. Thank you!